Time for a different kind of crucible, Guardians. Vex goblins are low-level annoyances in Destiny, a game about compulsively collecting fancy adornments before they blink out of existence forever. But, in the hands of a talented cosplayer, even the weakest cyborg bad guys of Bungie’s first-person shooter are damned impressive. How does she see out that thing? 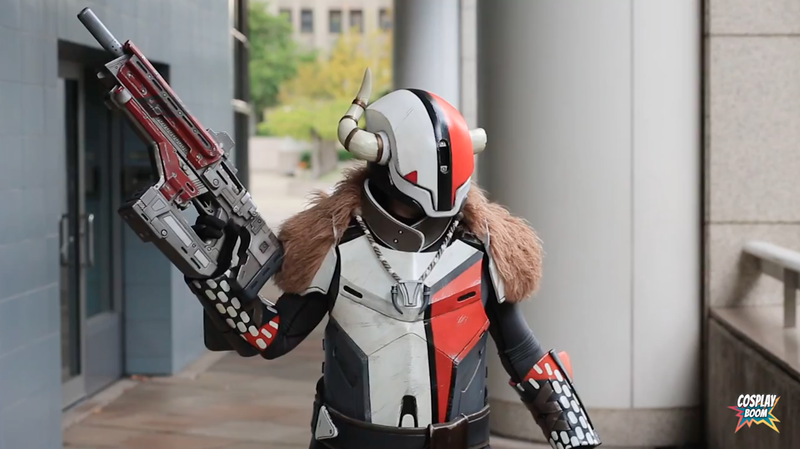 Brittany Doran of Punished Props is the cosplayer who built the Vex get-up and the latest episode of the Cosplay Boom documentary series features her amazing build, along with the work of others who sported Destiny costumes at This year’s PAX Prime.